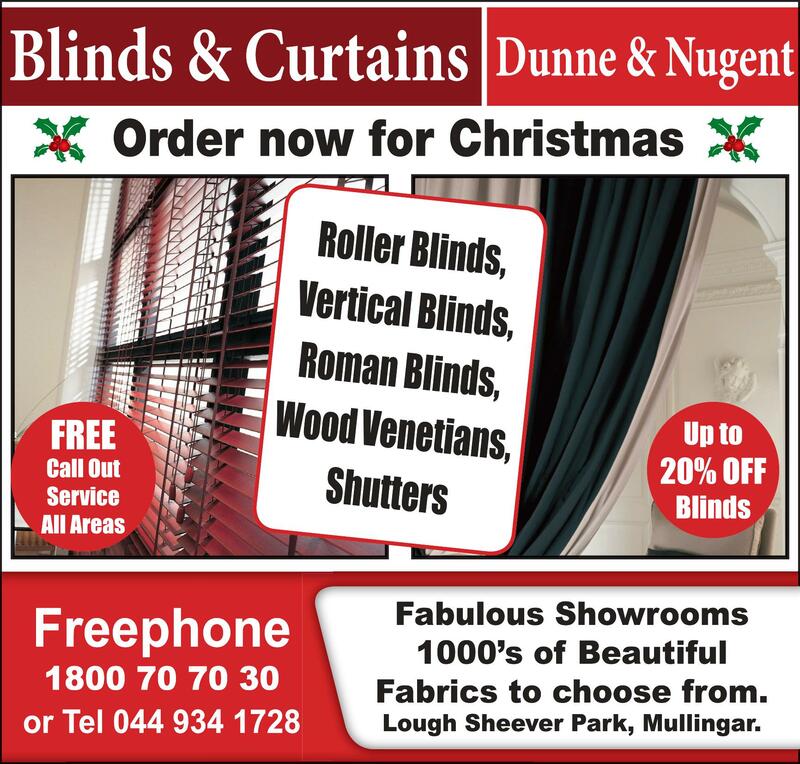 You can order your blinds and curtains for Christmas at Dunne & Nugent. Up to 20% off blinds and FREE call out service to all areas. Specialists in roller blinds, vertical blinds, Roman blinds, wood venetians and shutters. Visit the Dunne & Nugent showrooms at Lough Sheever Park, Mullingar, where there is thousands of beautiful fabrics to choose from. Freephone 1800 70 70 30 or telephone 044 934 1728.